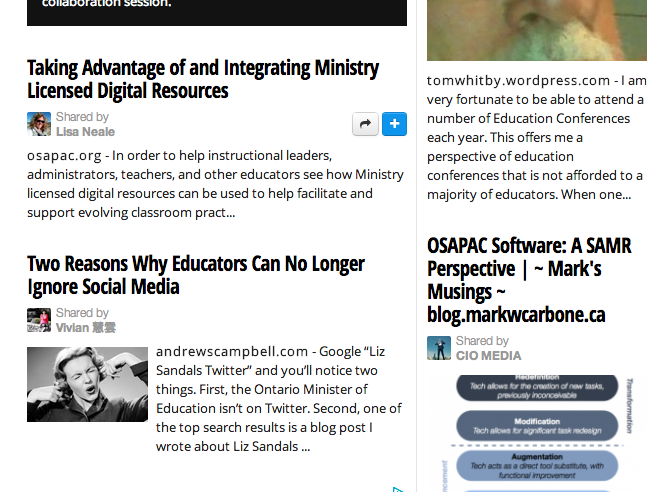 Another simple way to keep connected with what is happening around the province, country and world is to follow pages that are curated by other educators. Here are a few great examples to get you started. Go to the page, and click “follow” for email updates.